Well done, Elijah. Most people seem to dismiss Scientology out of hand for being “obviously crazy,” but I appreciate the respectful way that you engaged this system according to its own stated beliefs and contrasted it with your position as a Christian. Thanks for your encouragement, as always. Generally speaking, I don’t believe in ‘heaven’. I have no interest in dualism and I resonate with the view which you have expressed. As for the state between death and the New Creation, I find it best not to speculate. I think you should write a post about this issue (and yes, I have noticed the ‘nother’ thing, which is pretty strange). I’d be glad to participate in the comments! That is so disheartening to me to read that someone doesnt believe in ‘heaven’. If men think this life is all there is, what’s the point? Where all religions demand that the devotee must die for the Creator or work their way to heaven, in Christianity, the Creator died for us. P.S. And as a Christian, I could never watch “Magnolia” ! It was filled with vulgar profanity! ‘The need for these sorts of credal affirmations of the physical body arose from a very early Christian heresy that is labelled ‘gnosticism’. Within a very watered-down gnostic worldview we find the idea that there is an fundamental antagonism between God and the material world (dualism). The soul is trapped in this material world and through certain esoteric knowledge the soul can find a way of escape. 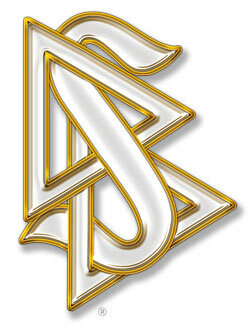 From what I have gathered, the Scientological belief system very closely resembles a type of gnosticism. But in light of their understanding of the resurrection of Christ, early Christians, like the second-century Ante-Nicene Father St Irenaeus, condemned such views. Indeed, when ‘the resurrection of the body’ is mentioned in early Christian sources the phrase does not mean that Christ (as the ‘first fruits’ of the resurrection from 1 Corinthians 15:23) has figuratively risen from the dead. Contrary to the claims of critics like John Dominic Crossan and his ‘Jesus Seminar’, what makes the claim of the resurrection in the first-century Jewish context so problematic is that it only ever refers to a physical, bodily, literal raising from the dead. Also, whilst I believe in an ‘afterlife’ of sorts, I do not think that if someone doesn’t believe in life after death his or her life has no point. As Christians I think we need to focus more on the world to which God has called us in the here and now. He has invited us to build his kingdom, a most exciting endeavour! Let’s not build our houses on sand, but let us act upon the words of the Gospel through loving others. Personally, I find Magnolia to be a very profound and spiritually moving film. If you can get beyond the difficult language (maybe think of it as ‘realistic’ language – I know some amazing people who speak like that) it’s well worthwhile.